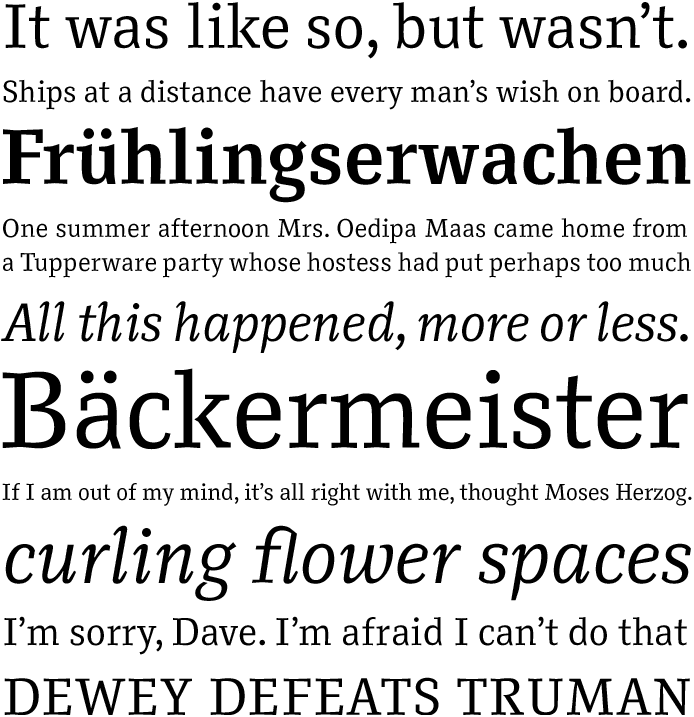 Zitat is a matter-of-fact and powerful contemporary roman, which was originally designed for newspapers. Narrow letters and a relatively high x-height produce the kind of compact type that’s well-suited to narrow text columns. Nowhere has more been done than necessary to achieve clarity. And yet, when one considers the basic typeface, it sounds a friendly note that is spirited and sensitive, open and dependable, powerful and persuasive.